Daily, Weekly or Monthly Bookkeeping in Pensacola, FL are available depending on your business needs. 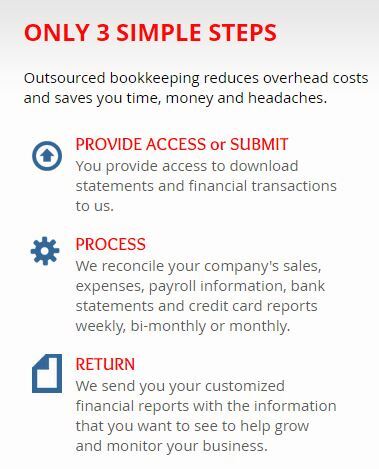 These bookkeeping services are scalable and customized for your individual business. Online bookkeeping services for small business. You’re busy running your business, often long after “traditional” business hours. Our firm recognizes this and understands the demands of today’s competitive climate. That is why our fees are based on your business size and industry. Our fees are flat fee based giving you 40% savings compared to other firms that usually charge by the hour. List of bookkeeping service fees. QuickBooks Online uses the power of the Internet to let you access your accounting – using a secure, 128-bit encryption that is established especially for you. In this secure area all information that is sent, accessed or viewed over the public internet is encrypted using Secure Socket Layer (SSL). If you have ever checked your banking information or personal investments online, then you have accessed a portal that uses encrypted SSL technology to send and view sensitive information. Convenient. Access your business or personal financial information 24/7/365, from anywhere with an Internet connection. Secure. Enter your password protected portal where only you and we can access your files. Fast. Within moments you can access files and software, enter data, upload information, and more! We work together on your books to allow for a perfect partnership. Now you can get your financial information and services from the convenience of your desk, your home, your bank, or anywhere with an Internet connection. Need a bookkeeper. Virtual bookkeeping services. Best online bookkeeping services. QuickBooks bookkeeping services. List of bookkeeping services.